It's seven years later. Michael (Al Pacino) is struggling to fend-off the latest enemies rounding on the Corleone family's new power base in Nevada, including the slithery Hyman Roth (Lee Strasberg) and congressional leaders looking for kick-backs and holding hearings to investigate mobsters. As Michael fights to keep his business together and himself out of jail, his grip on the family weakens: his wife Kay (Diane Keaton) despises him; his mother passes away; and someone close fatefully betrays him. I n a series of interspersed flashbacks, we also learn the story of the early years of his dad Vito (Robert De Niro), from his days as a young boy (and soon to be orphan) in Sicily to his emergence as an influential mobster in the New York of the 1920's. The Godfather Part II puts on a mighty effort for 3 hours and 20 minutes to match the brilliance of the original Godfather; it falls just short, and a sense of quantity over quality begins to creep in. 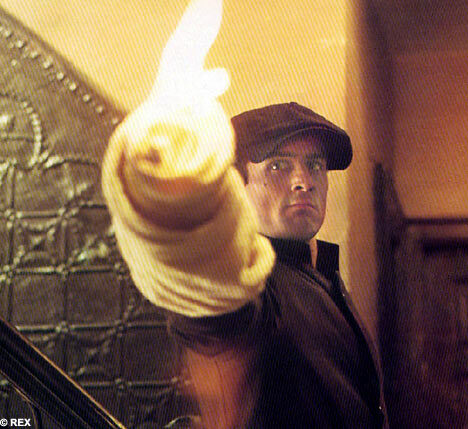 To be sure, the scenes with young Vito in turn-of-the-century New York are brilliant; and De Niro is spookily magnificent in channeling Marlon Brando's mannerisms. But Michael's story in Part II is simply no match for the original. The convoluted dealings with Hyman Roth fail to ever properly catch fire, probably because Roth is portrayed as more unassuming and sick than evil. If the intent was to show the disguises that evil can hide behind, it does not work. The sequel sorely misses James Caan's violent energy, and while Pacino's controlled performance is powerful, it does not carry the same menace that Brando delivered. There are attempts at mirroring history that instead serve to emphasize how brilliant The Godfather was. The long wedding scene from the original is mimicked with a long First Communion celebration that opens the sequel. The multiple-assassination climax to the original also finds a much weaker parallel in Part II. A detour to a Havana on the brink of revolution is interesting but appears uncomfortably contrived. Michael V. Gazzo as Frankie Petangeli exhibits classic syndromes of a character actor attempting too hard to steal every scene he's in with a wildly over-the-top performance. And there is no match in Part II for Michael's epic transformational journey that defined the original. Francis Ford Copolla's direction in Part II is much more mechanical and functional than artistic. Other than the scenes in New York, gone are the breathtaking frames that made the original a directing showcase. And the haunting theme music cannot remain fresh for 200 minutes; overuse starts to erode its impact. None of these are huge flaws; but they add up to a less satisfying experience. The Godfather Part II is still a hugely entertaining film, it just lives in the shadow of a towering original achievement.